Title (croatian) ORGANIZACIJA PRIMARNE ZDRAVSTVENE ZASTITE DOMA ZDRAVLJA RIJEKA NA LIČKOJ BOJISNICI TIJEKOM DOMOVINSKOG RATA OD 1991. DO 1993. In the introductory part, the authors remind of the character of the aggressive war, imposed to Republic of Croatia in l99l by the rebelled Serbs in Croatia and the Yugoslav Army. Since, among the war victims, the major part is constituted of civilians, primary health care, local as well as statal, soon acquires a new regime of organization, adjusted to war conditions. In the second pan of the paper, new problems of the health care service in Lika are described. This service already was insufficient before the war, and the status worsened (especially the hospital care) also due to the flight of a major number of specialists to the other side. 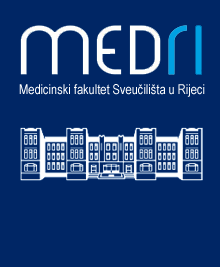 Still, the functioning of the hospitals in Gospi6 and Otoiac continued thanks to the engagement of the personell of the fujeka Clinical Center (KBC RijekaJ, while the carrying-on of the increased specific needs of primary health care was helped by volonteers of the Rijeka Health Center (Dom zdravlja Rijeka).In the last part of the paper, the authors, volonteers themselves and active participants of the described events, present the engagement of the personell of the fujeka Health Center (primarily of the physicians and nurses, but also of psychologists, psychiatrists, stomatologists and technical personell) in the Lika region in the period from October 1991 until 1993. kada je uslijedio preustroj cjelokupnog vojnog saniteta pa posao nastavljaju mobilizirani zdravstveni radnici- In described period, numerous cquipes volontarily were offering complete primary health care to the civil population and refugees. They offered also first aid and organized the transport of those wunded on the fire line. Gradually, into these task were included also young, unemplyed physicians and volonteers from several other health care institutions.